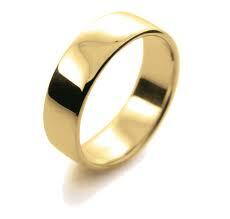 Gold wedding ring found for Cloudy2Clear Windows customer! Cloudy2Clear Newcastle recently made Mrs Norris of Seaton Sluice very happy indeed when they made a very important discovery installing her new glass – her lost wedding ring! Mrs Norris is delighted, ‘Not only do my windows now look great but my ring is back safe and sound on my finger. I really can’t thank Tony and Michael enough.’ she said. So, if you’re looking for a first class service to repair windows which are steamed up, broken or damaged or you have faulty locks, handles or hinges then give us a call on 0800 61 21 119 for a free quotation. We can’t promise to find lost jewellery every time though…!